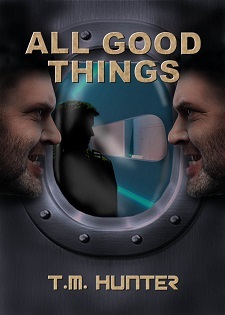 For those who didn't already know, my new Aston West "series" novel, All Good Things, is now available for pre-order over at Amazon through the link. It goes live February 12, and I'll continue posting snippets for the next several weeks. I followed, keeping an eye on Rione, but also trying to look off into the darkness for any sign of trouble. If I saw a piece of dust floating in the air wrong, I planned to grab Rione and race out of here. She reached the huddled mass on the ground, kneeling down beside her. “Right you are...” A familiar voice carried in from elsewhere in the room. My skin crawled. Hope you enjoyed it! (And if you don't know who Elijah is, why not pick up a copy of Friends in Deed?) If so, pick up a copy of All Good Things from the link above. And of course, be sure to check out all of the fabulous SFFS snippets through the link at the top of this post.